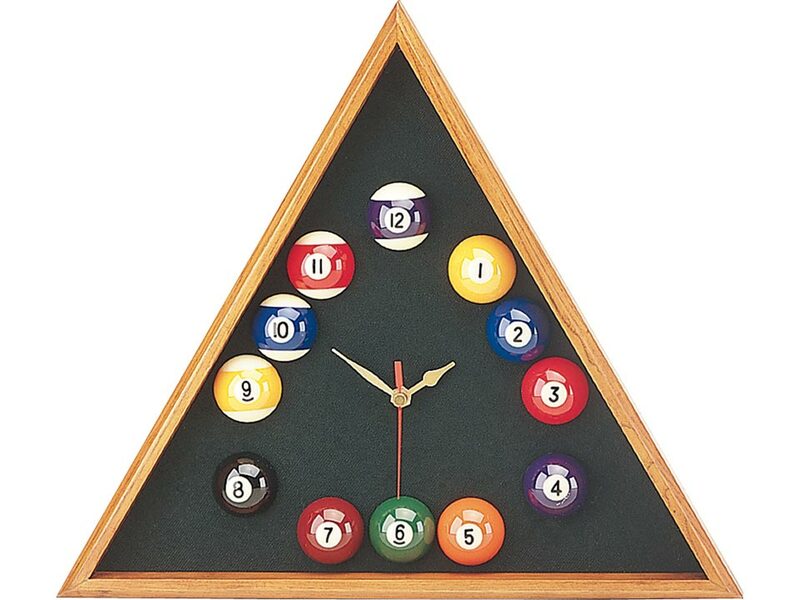 This is the pool player’s classic clock, a wood bordered triangle clock featuring mini pool balls for each of the twelve hours and a spruce felt in the background. It looks great in any pool room. It requires one AA battery (not included). 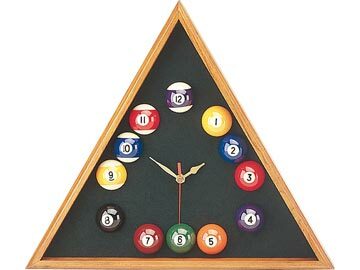 You can keep the table racked all day long with this clock.